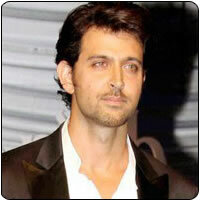 Popular Bollywood star Hrithik Roshan has been hospitalized after complaining of breathing problems and allergy. The star has been under treatment and doctors report that he may be discharged in a few days. Hrithik, son of popular actor/director Rakesh Roshan, entered the film industry as a child artiste and went on to become one of the leading stars in Bollywood. It has to be mentioned here that Guzaarish, in which Hrithik shares the screen space with Aishwarya Rai released on November 19th. Behindwoods.com wishes the actor a very speedy recovery. Will Arya, Dhanush, Suriya, Tamannah, agree?